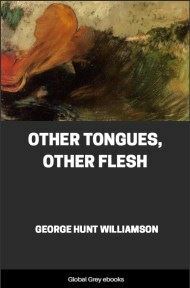 George Hunt Williamson was a pioneering UFO researcher. He invented the concept of 'walk-ins,' who he called 'The Wanderers.' Walk-ins are normal humans who are actually (unknown to themselves) reincarnated 'Space Brothers.' Williamson also worked with George Adamski, another UFO pioneer. One of the centerpieces of this book is a labored interpretation of symbols in footprints left when Venusians had a close encounter with Adamski in the California desert. Williamson believed that most of the aliens visiting Earth look like humans (or are humans), are benign, and preach a telepathic message of peace and brotherhood. Space visitors put an intensification of the Cosmic program into effect in the late 1800's. The 1880's and 1890's saw the program manifest itself in strange phenomena and many books; new inventions and theories were suddenly put before the public. The Great Plan for the planet Earth moves along on levels of rises and plateaus. We are at present on a rising level. The 1890's experienced a rise, and the following fifty years was a plateau of leveling off time. The movement began before the nineteenth century, of course, but in a small way. Emanuel Swedenborg, scientist and mystic, brought great new truths to the spiritually hungry world in the 1700's . . . and there were other men, like Wesley and before him Spinoza; however the great mystic, Father Jakob Lorber, was born in 1800; Nikola Tesla, inventor, was born in 1857; Steinmetz, electrical wizard, was born in 1865; Charles Hay Fort, writer and researcher, was born in 1874; Charles Fillmore of Unity, was born in 1854; H. P. Blavatsky brought the great knowledge of Theosophy to the world in the 1800's; H. W. Percival gave the world his knowledge, and later, Thinking And Destiny; Dr. John B. Newbrough, in 1882, released his monumental work, Oahspe; Camille Flammarion, great French astronomer, was born in 1842; and among many others, P. D. Ouspensky, Lecomte du Nouy, etc. Thus, in the last half of the nineteenth century, Universal Truth made a valiant attempt to penetrate the mind of Man before the Great Age of Materialism set in with the advent of the colossal Machine Age. 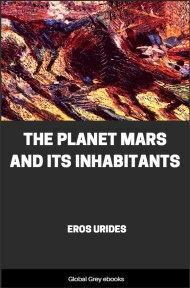 Men like Brown Landone, and Flournoy, who wrote From India To The Planet Mars, contributed greatly to this expanding program under the influence of space intelligences. Even John Jacob Astor got in the plan and wrote about the coining electrically governed world and interplanetary travel in 1897. 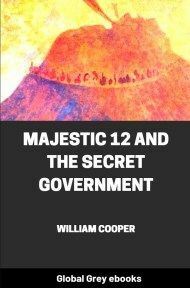 Besides a Great Influx of Universal Truth coming to the minds of Man, there was a definite pro-grain instituted on the physical plane and on the surface of Earth, itself. Space visitors were actually deposited and left on our world to mix, mate, and marry with us. The new ideas and theories first came out in book form, and this was the prelude to the appearance of spacecraft in the skies of Earth. 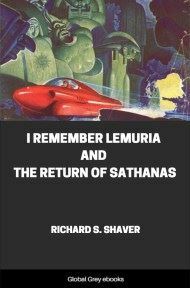 In our present century, first came the science-fiction tales of space travel, then came the actual space visitation. Chicago Record, Friday, April 2, 1897: "See Great Airship! Kansas City, Missouri people excited . . . mystical black object casting before it red light startled whole city for the last two weeks! At last descended . . . ten-thousand people swear they have no hallucinations! Scoffers and disbelievers claim the people have been seeing the planet Venus or the Evening Star, even though according to the almanac this planet should have set below the horizon at least an hour before! Object appeared very swiftly, then appeared to stop and hover over the city for ten minutes at a time, then after flashing its green-blue and white lights, shot upwards into space . . . light gradually twinkling away and looking like a bright star. Time: 8:15 p. m.
"Everest, Kansas has sighted a strange airship, Competent reporters state that this must be the air-ship that was built in Oakland, California and which broke away at launching time . . . this giant air-ship hovered one half hour at a time and descended at regular intervals very close to the Earth. A giant searchlight flooded the whole city with light from this aerial monster which with the velocity of an eagle darted up and away. Power source must have been attached to the light for it dimmed as the ship went up and away. 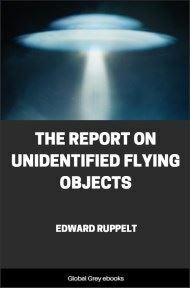 On observer states that there seemed to be a basket or car beneath a great dark object thought to be a gas bag overhead . . . car was shaped like a canoe and had four wings, two on each side, fore and aft . . . light was greenish or blue against the light of a locomotive in the rail yard that was yellowish. Colored lights seemed to be all around the car." This unusual craft showed up later in Michigan, but before quoting from the record, let's analyze the above report. First of all, the authorities passed off the entire incident by calling the spacecraft the planet Venus. That same thing has happened in our present Saucer saga. They called the object Captain Mantell was chasing Venus, when it couldn't possibly have been that planet. This craft over Kansas City flashed blue-green lights and this color combination is now predominant in Saucer sightings of to-day. The report goes on to state that the power source must have been attached to the light for it dimmed as the ship went up and away. It is known today that the speed of Saucers has a great deal to do with the color changes. Chicago Record, April 3, 1897: "Flying Machine Now in Michigan! People of Galesburg saw a brilliant white light approach from the SW . . . object appeared large and black with a crackling, sharp sound. It hovered close to the Earth. Reporters state that they heard human voices from aloft . . . from the airship! When the ship went off, it seemed to be tipped with flame. (Local comment was that the airship had caught fire!) Time: 10.00 p. m."
Chicago Record, April 6, 1897: "Airship Now Into Illinois! Seen first at 8:00 p. m. in NW . . . . large red light. Suggestions of balloon are refuted because airship flew at tremendous speed into a high wind."